This is another fall technique/recipe I’ve been trying to make for the past few years. This is the first time I’ve made it correctly and I’m so proud of myself! I usually tried to make it without a recipe and it’s been one big flop. This year I found a recipe, followed it, and was successful. The key to making pumpkin puree is to use the sugar pumpkins which are the smaller pumpkins. They are usually not the ones you use to make jack-o’lanterns with. 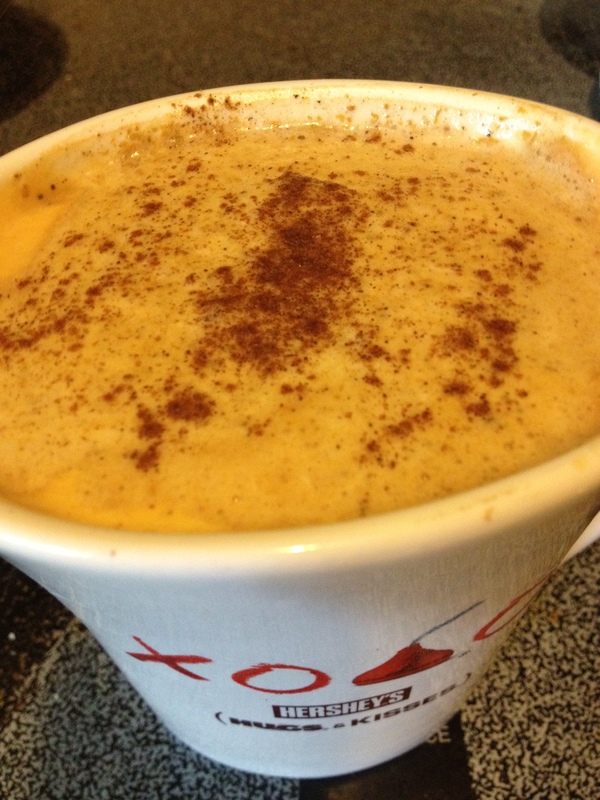 I got mine from a local dairy farm – Young’s Dairy last week so I could make pumpkin puree. The Imaginative One reminded me they were sitting outside and I needed to do something with them. So last night I took one of the two pumpkins I bought and made the puree. This morning I used some of the puree in my pumpkin spice latte. Oh my goodness – DELICIOUSNESS! Cut the pumpkin in half. Trim off the stem. Prick the flesh with a fork and place it on cookie sheet, flesh down. Allow to cool and then peel off the skin. Discard the skin. Use in your favorite pumpkin recipe or freeze in freezer bags/containers until you are ready to use the puree. I love lattes. Love, love, love them! Okay I guess you get the picture. My favorite flavoring is peppermint or mint depending on what the coffee-house has on stock. During the fall, I love pumpkin spice lattes though. Last week, I taught for a half of a school day, attended a funeral and then luncheon, walked over to the boys’ school to pick them up in extreme humidity, and then spent time with family. After all that, I needed a nap which I took. Once I woke up, I picked up the boys to go visit with my mom and her friend. I was still dragging so I went to Starbucks and discovered they had pumpkin spice lattes a few days earlier than normal. I was so excited!!! For the past few years, I’ve been attempting to recreate the latte at home but was unsuccessful. If you don’t succeed, keep trying. This year I was finally successful. Yeah! Microwave the blended ingredients for 1 minute. 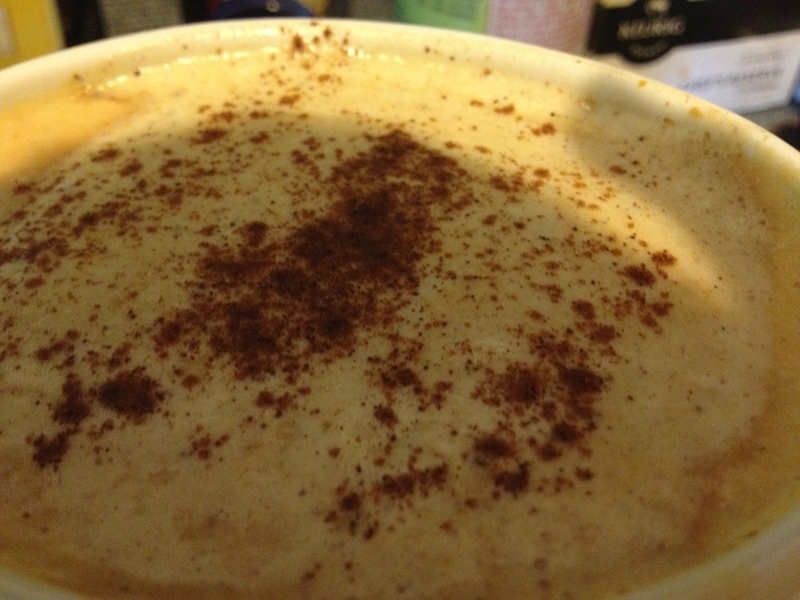 Top with extra ground cinnamon or whipped cream (optional).